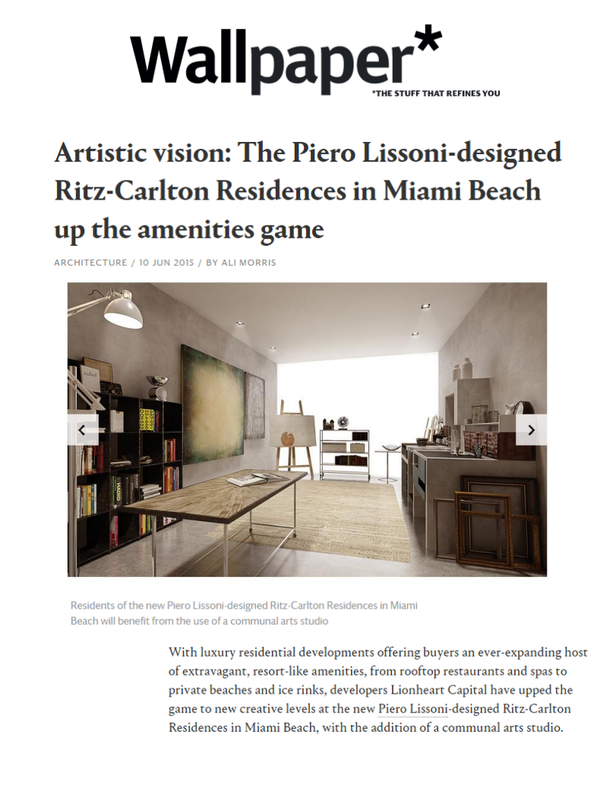 With luxury residential developments offering buyers an ever-expanding host of extravagant, resort-like amenities, from rooftop restaurants and spas to private beaches and ice rinks, developers Lionheart Capital have upped the game to new creative levels at the new Piero Lissoni-designed Ritz-Carlton Residences in Miami Beach, with the addition of a communal arts studio. The studio space, which will cater to the complex’s 111 condominium residences and 15 single-family villas, is tipped to include easels for painting, wall space for canvases, a library filled with art books for inspiration, a stone surface for sculpting, a table for jewelry making and beading as well as a working sink. Most impressively, perfect painting conditions will be available 24/7 courtesy of a glowing wall that imitates natural north-facing daylight. ‘I liked the idea of having a simple and calm space. A quiet room to create,’ says Lissoni of the space, which he hopes will inspire residents to take-up a paint brush or chisel at one of the studio’s private or group classes, or attend one of the many art talks, excursions or onsite exhibits of residents’ work. If, however, the residents should tire of artistic pursuits they will be sure to find amusement in one of the luxury development’s many other amenities, which will include seven acres of tropically-landscaped gardens, pools, entertainment spaces and a private marina set on a quiet corner where lake, ocean and waterway meet.